AOL has been around since the early 1980s and its logo has changed many times over the years. NEW YORK (TheStreet) -- Believe it or not, AOL (AOL has been around in one form or another since 1983 when it was known as Control Video Corporation, a company that helped video game players connect to the nascent internet to buy games and track their progress. It has since relaunched and reimagined itself many times -- from the America Online of the 1990s (known for sending potential users compact disks with ever-increasing numbers of free online hours), to the AOL of today, which is a diversified media company that owns Huffington Post, TechCrunch and other popular destinations. While the company has changed, so have its logos. Here is a brief history of some of the most memorable AOL logos over the years, including, at the end, the evolution of the cute AIM (AOL Instant Messenger) logo. Should the acquisition of AOL by Verizon (VZ - Get Report) close, who knows what new logo we'll see for AOL? 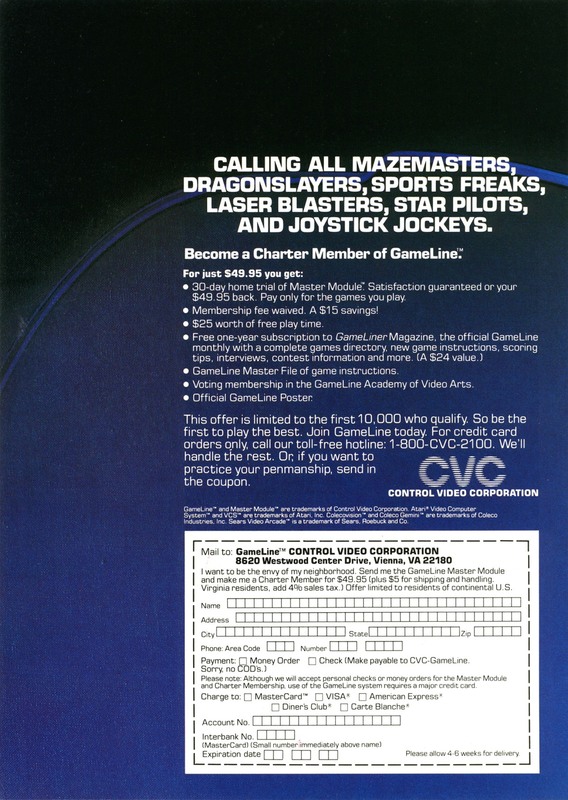 This image comes from an old advertisement for the company, which sold a service called GameLine. Users were charged about $65 to buy a modem and have it set up so they could download games for $1 each and keep track of high scores. By 1991, the company was well on its way to building an empire of subscribers who would pay to access its platform, which offered chat rooms, early e-commerce and, of course, e-mail. The company went public in 1993. The original initial public offering price was set at $11.50. The stock closed at $14.75 on its opening day of trading, a 28.3% increase. 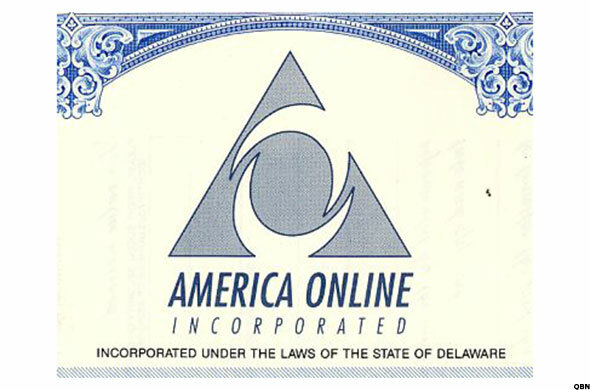 This logo is taken from the original stock certificates. The company wasn't just "America" going online -- here are some logos from its international businesses throughout the 1990s. A deal that will go down in history as one of the biggest -- and worst -- ever done was once thought of as the beginning of a new era of media. Just another stop on the AOL logo evolution. 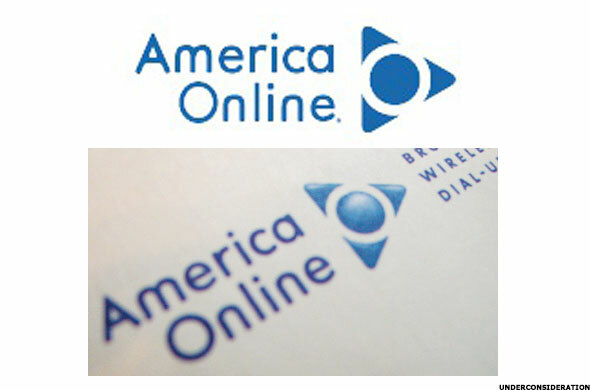 This was the last set of logos before the company dropped the name America Online altogether and officially became AOL in 2006. 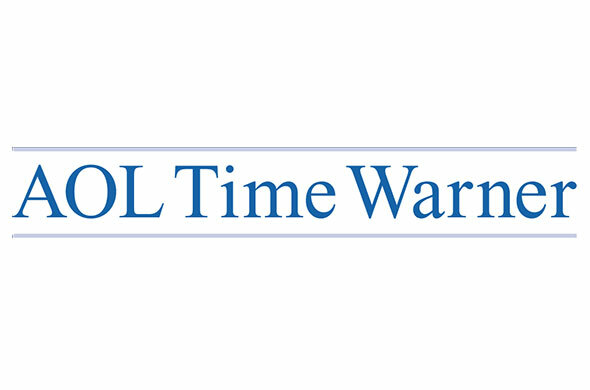 Similar to earlier logos, but with the new company name: AOL. AOL got hip in 2005. It hired design house Wolff Olins to create a new logo concept. Because the company no longer wanted to be known as an access point but instead a media brand, it needed a logo that could be a platform, according to the designers. Hence, the simple version (above), and some of its many iterations (below), depicting the hipper "Aol." as the company name. Who can forget the little yellow figure who would sometimes shuffle in place on the screen when America Online was loading something? More than a full decade into the new millennium, AOL's AIM logo lost the beloved yellow running figure. The yellow guy is back in the current incarnation, this time with an unintimidating lower-case "aim" to go along with it.